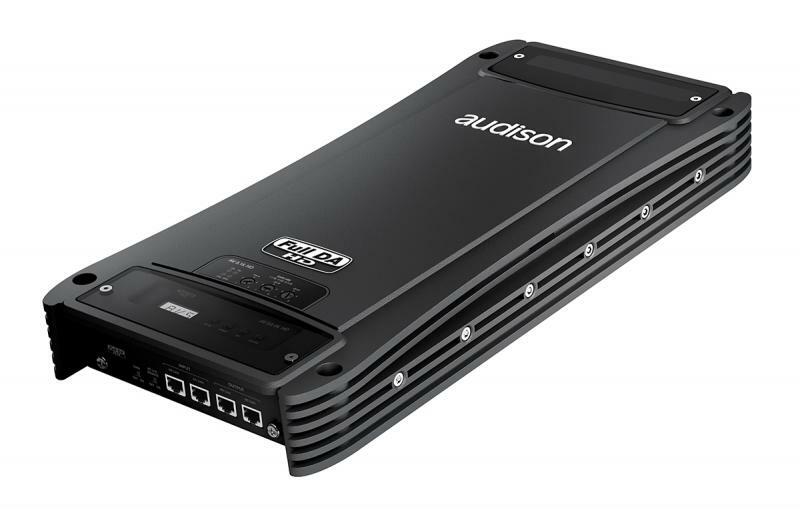 AV 5.1k HD is the first Car Audio amplifiers featuring digital inputs only, providing the ability to connect directly to the digital outputs of a digital signal processor (DSP). Through this connection, made via the Audison AD Link available on the Audison processors (bit One HD, bit One, bit Ten D), a Full DA HD audio chain can be created. Thanks to this chain, the high resolution (96kHz/24 bit) digital audio signal coming from the head unit, via the processor, can be obtained up to just the Digital/Analog converter of the amplifier’s audio chain, ensuring maximum reduction of any signal deterioration. The Audison AC Link can also be connected to control the amplifier as well as the AC Link and AD Link outputs, to expand the audio system with other Audison Voce amplifiers. These features make AV 5.1k HD the most advanced amplifier available in the market, perfect to appreciate the quality of Hi-Res audio files.